Sydney has the Biennale, Adelaide has its Biennial – and finally Melbourne has its own recurring festival of contemporary art, thanks to the National Gallery of Victoria. Opening December 15 2017, the NGV Triennial will feature more than 70 artists from more than 30 countries, including a major new commission from Japanese superstar Yayoi Kusama (whose orange 'Dot Obsession' room is a highlight of MONA's summer exhibition On the Origin of Art). And it's free! As its point of difference from offerings in other states, the NGV Triennial will focus on art and design and how to two inform each other; NGV director Tony Ellwood says that this theme is "an even more contemporary way of reflecting what our creative community is doing around the globe." At this point 20 new works have been commissioned for the Triennial, from artists including Chinese couture superstar Guo Pei (whose canary-yellow won Rihanna the red carpet at the Met Gala in 2015), Japanese collective teamLab, Australian sculptor Ron Mueck, Chinese sculptor and installation artist Xu Zhen, and Argentian artist Alexandra Kehayoglou – who will create a 100m2 carpet landscape inspired by the Santa Cruz River, a glacial flow that is under threat from two proposed dams. 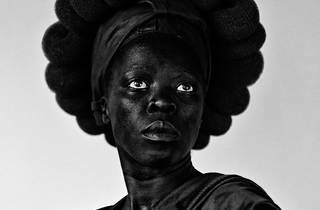 Other works are drawn from recent practice such as three stunning monochrome self-portraits by South African artist (and prolific documenter of the LGBTQIA community) Zanele Muholi, from her 2015 series Somnyama Ngonyama (meaning 'Hail, the Dark Lioness'). Ellwood describes the line-up as diverse "on a social, cultural, scientific and psychological basis." The local talent list features Ben Quilty, Brodie Neill, Büro North, the Yarrenyty Arltere Artists, Louisa Bufardeci, the Bula’bula Artists, Reko Rennie, Riley Payne, Ron Mueck, Sean O’Connell, and Tom Crago. "In talking to the artists, five conceptual themes emerged," Ellwood says: the body, change, movement, time, and the virtual. The exhibition and associated public programs will take these themes as topics for conversation. Kusama's immersive new installation, presented under the 'Body' theme of the Triennial, invites visitors to apply a 'flower motif' to a room, over four months – until it is "obliterated". It doesn't sound like much on paper, but we've never met a Kusama installation that wasn't Insta-bait, so watch that space. One of the most intriguing works announced at the media call is Israeli artist Einat Amir's performative installation: a lounge room in which members of the public can watch their favourite TV shows, while gallery visitors watch them... Kinda like live Gogglebox? BYO snacks. (And yes, they will be doing an audit on participants' shows-of-choice, to make sure they meet rating standards). 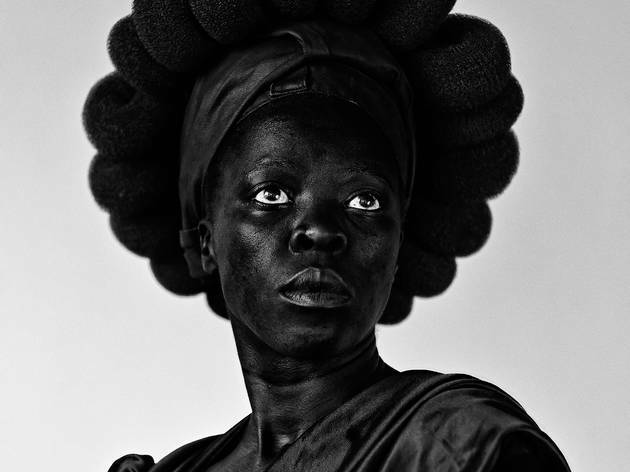 Check out the dates and details for the NGV Triennial. In the nearer future, check out NGV's Winter Masterpieces exhibition, and our hit list of the best art to see this month in Melbourne.